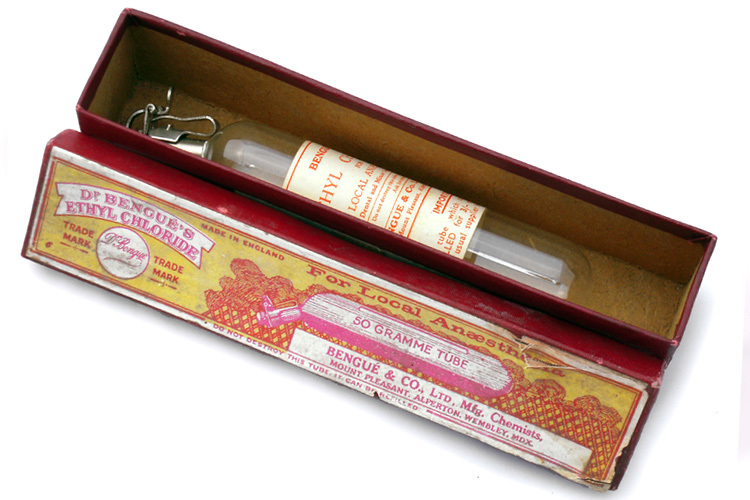 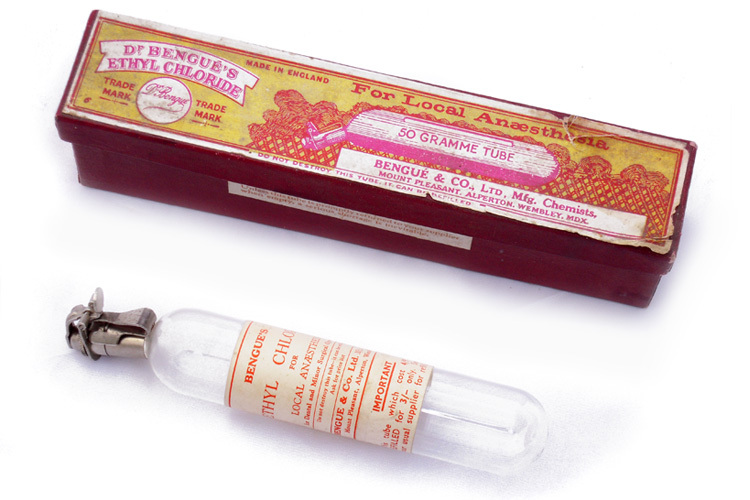 Antique local anaesthetic dr. Bengue's Ethyl Chloride tube, it is complete with original paper box. 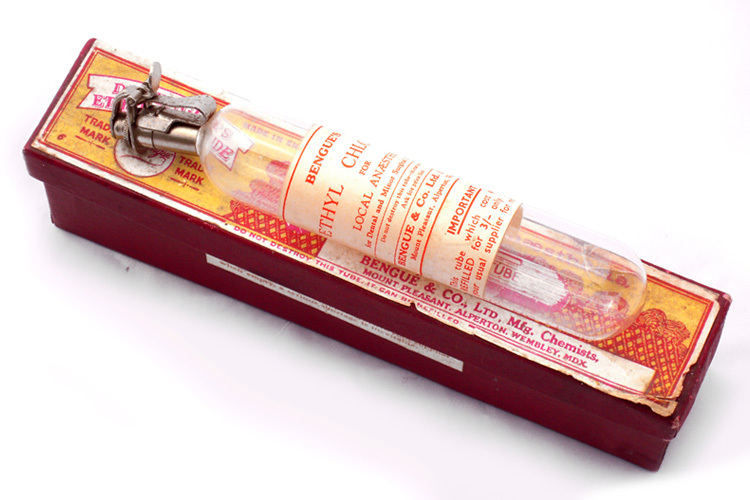 Written on box" Don't destroy this tube it can be refilled". 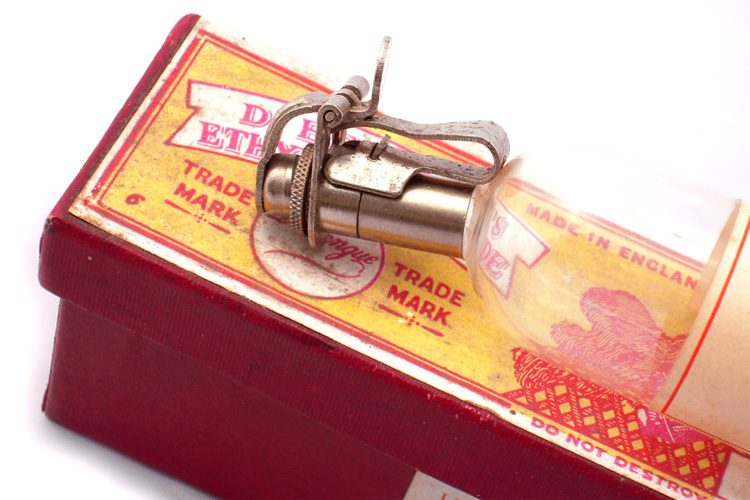 Dated early '9oo.